Considering the conflicts of urban development today, all of this may be moot. Not only is state-financed acquisition and development of public land increasingly unimaginable in a country suffering from laissez-faire ideological dogmatism and seemingly insurmountable legislative paralysis, but private-property solutions remain just as elusive. If contemporary urban practitioners and theorists want to address what is urgent in our urban environment—from the ongoing issue of access to housing to more recent concerns about gentrification, displacement, sustainability, and resilience—where do they turn? Again, borrowing Heller and Dagan’s legal framework of the “liberal commons,” we might begin to understand a broad spectrum of non-binary property regimes—that run counter to the tired public versus private dialectic—from cooperatives to homeowner associations to community land trusts.11 Only by harnessing the precise legal definition of real property to understand how specific ownership structures impact urban development outcomes in practice, can we imagine methods for dealing with conflict and empowering design professionals to engage in social practice. 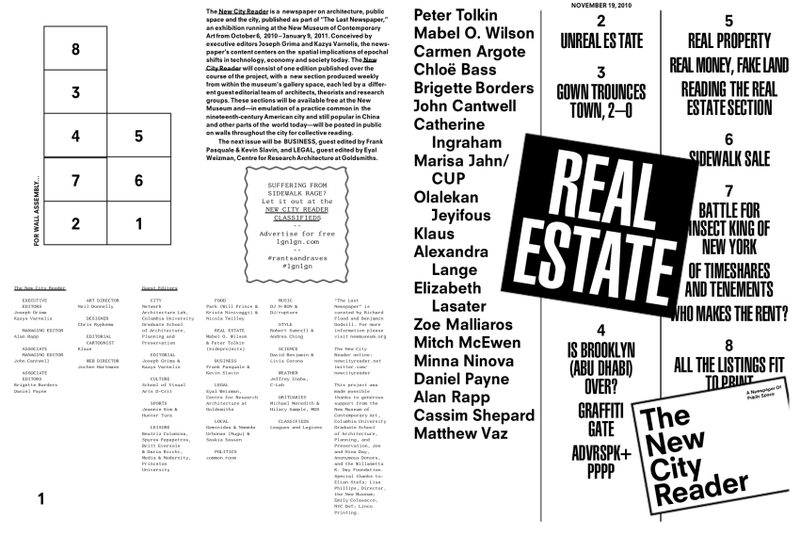 The New City Reader: Real Estate (November 2010). Guest edited by Mabel Wilson and Peter Tolkin. Courtesy of Kazys Vernalis and Joseph Grima. Foreclosed: Rehousing the American Dream at the Museum of Modern Art, New York, NY, 2016. Photograph by Jason Mandella. Answering this provocation, Raphael Sperry and Amit C. Price Patel (both from Architects Designers and Planners for Social Responsibility) asserted the need for increased public policy initiatives to prompt private resources to provide for housing under a rights-based framework; and designer and urbanist Liz Ogbu advocated to de-essentialize public and private in favor of a new hybrid of small, socially oriented, micro-entrepreneurial endeavors, well-positioned to attack problems like affordability.13 Critical of the market as a whole, and by extension policies geared towards market engagement, planner Tom Agnotti argued to reject the “dictatorship of the developer” and to engage in creative politics instead of creative design spurred by the seductive illusion of control through dubious spatial determinism.14 Taken together, these arguments clarify the importance of the values behind real estate development and regimes of ownership in order to serve the design community’s desire to foster more progressive outcomes. What is less clear, however, is whether the individual practitioner has recourse to address these issues beyond political advocacy. Breaking down and humanizing the monolithic figures of “the state” and “the developer” is crucial to dismantling the false ideological choices that so often dominate discussions of urban development and that overshadow the complex interplay of actors that govern both public and private actions in the city.15 In “Public and Common(s),” Reinhold Martin recognizes the need to depoliticize state-led interventions—defining the state as a technology rather than an ideology. Martin follows Michael Hardt and Antonio Negri in replacing terms like “the people,” “the state,” “private,” and “public” with less politicized ones, using instead “multitude, commonwealth, singularity, and commons.”16 He also focuses on land itself, noting that real property is often overlooked by architects, and proposes a “working bibliography” on the history of real estate as a starting point to better understand one of the core determinants of practice.17 Immersed in this discourse, a practitioner can understand the way property regimes and their resultant development paradigms define the terms of their practice unencumbered by the ideological baggage that would otherwise prevent them from embracing more communitarian approaches. 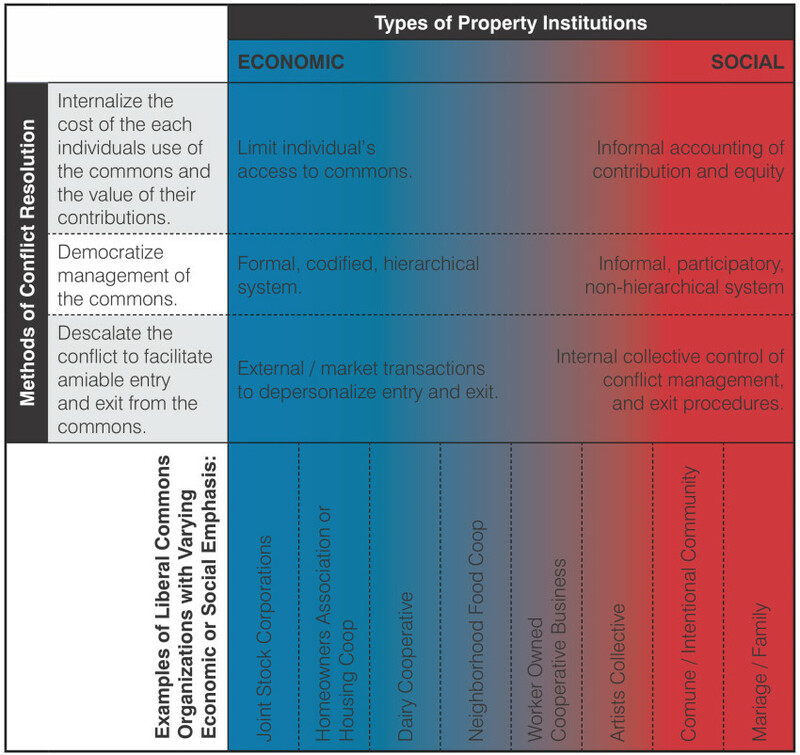 In “The Liberal Commons,” Heller and Dagan introduce us to the three forms of property that constitute the standard conceptual map of property law. First, on the liberal end of the spectrum (i.e. concerned with private interest) is private property, which though characterized by the Blackstonian definition discussed earlier, has never completely articulated any real-world regime of ownership. The second form, commons property—as portrayed in Garrett Hardin’s archetypical “Tragedy of the Commons”—is often assumed to be a condition in which resources are open to all. However, Heller and Dagan argue against this mischaracterization. Rather than describing it as universal “open access,” or as anarchy and the absence of any regime of ownership, they use commons property to describe the condition in which resources are “owned or controlled by a finite number of people who manage the resource together and exclude outsiders.” The last category in their tripartite classification of property is state or collective property, which asserts that resources must answer to the needs of society as a whole and privileges the state as an entity with “a special status or distinct interest.” Heller and Dagan remark that with the collapse of state socialism and the increasing influence of the politics of privatization, state and commons property have been conflated conceptually—establishing a false dichotomy between privatization and communitarian utopianism.23 This dualism precludes hybrids like Heller and Dagan’s liberal commons, a property regime that in many ways answers Ogbu’s desire to break down the essentialness of public and private categories. This model codifies three discrete benefits for commoners in exchange for relinquishing “sole despotic dominion” over their property. Members are granted the ability to retain individual dominion over certain preordained resource-management decisions; they are given a voice in the democratic self-governing apparatus that sets the rules for collective decision-making; and lastly, they have the option to leave the commons without the burden of harming those that choose to stay.28 In this way, the liberal commons establishes the terms of its own existence and its ability to benefit the people within it. But to what extent is the liberal commons applicable to architectural practice and urban development more broadly? Insofar as urban land and its development is considered a resource that needs to be managed, architecture—with its ability to structure relationships between users in space and make legible hierarchies and degrees of access—might benefit from engaging the liberal commons as an organizational model for the management of resources. This definition of practice empowers the architect to directly engage in establishing or reshaping client relationships and organizations. 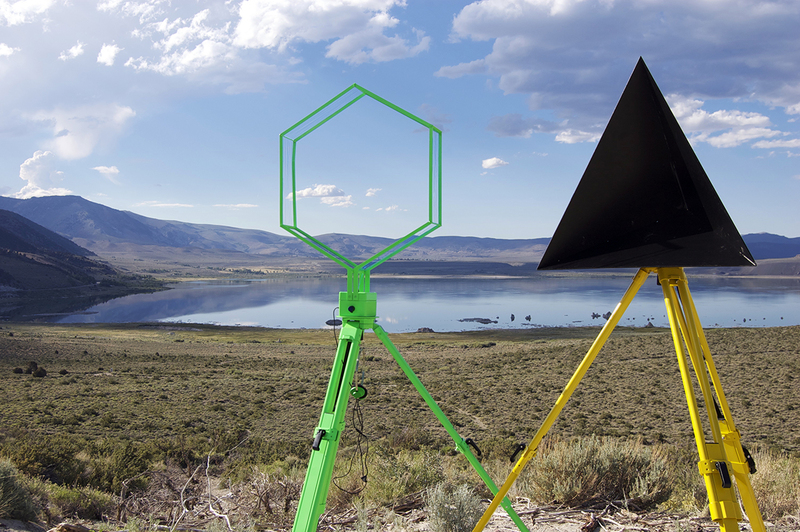 In the context of a liberal commons organization, “mechanisms of change” can be understood as an integral part of architectural practice—a tool box for the architect to either establish a liberal commons organization directly or advise clients to do so. Architectural practice is thereby constructed as a conflictual practice that harnesses the creative power of divergent values for both the design of the organizational structure of the commons as well as the architectural space that bounds it. Spectrum of liberal commons organizations and generalized methods of conflict resolution, adapted from Dagan and Heller, 2005. Courtesy of the author. 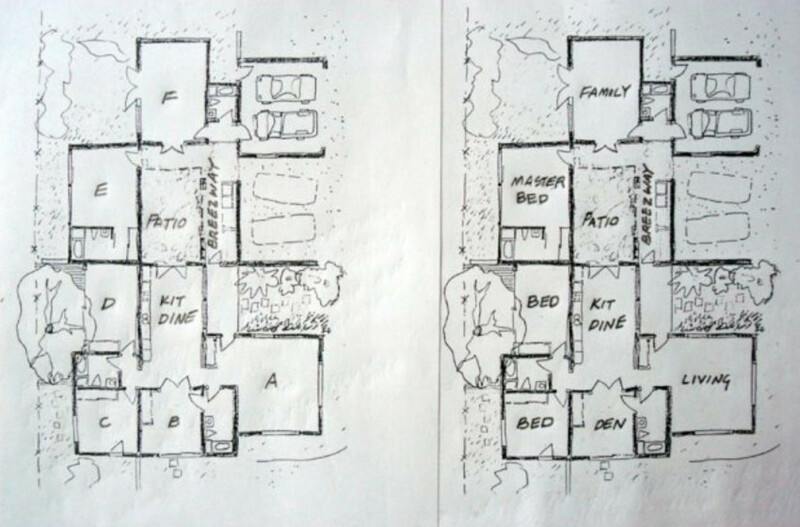 While Smith, McCormick, and other partners like fellow architect-developer Lloyd Russel initially employed a communitarian co-ownership model, they eventually settled on a multi-family rental scheme—one in which the architect-developer retains ownership of the entire project and rents out the suites individually. This made it easier to receive traditional bank financing, as banks are familiar with a four-unit apartment building as an entity and could care less about collectivist arrangements between tenants. 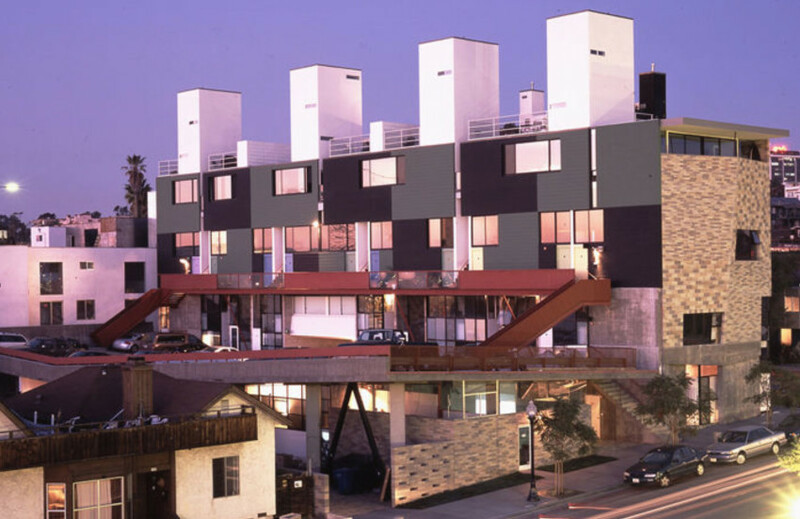 By making semantic concessions to the normative logics of project finance, Smith and McCormick were able to provide novel, affordable, and previously unavailable housing without policy overhaul or massive industry-wide reorganization. 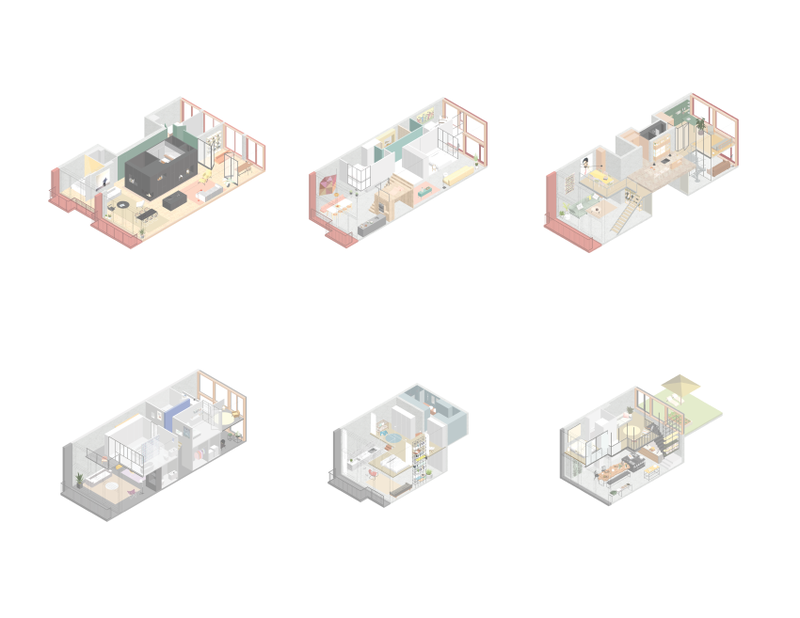 Over time, the rental structure in these projects came to define the resident’s relationships both to each other and to the project as a whole. Common amenities were placed under the purview of specific tenancies, establishing a way to resolve “issues of domain” (Smith’s term for spatial conflict) through a form of ownership. While it is tempting to see this solution to resource allocation as privatization, the liberal commons framework makes a case otherwise. The legal organizational structure of a commons—in this case the rental agreements and the bounded domains of the tenancies—is a backdrop or “safety net” that fosters cooperation, not something invoked on a daily basis. The large kitchens and other “common” spaces are available to everyone, with the understanding that the spaces are ultimately managed by a single tenant, creating a sense of responsibility for the “common” facilities out of respect for neighbors. An early Go-Home by Smith + Others in Del Mar, CA. Courtesy of Ted Smith. “Stealth Architecture” by Smith + Others in Del Mar, CA. Courtesy of Ted Smith. Essex Lofts by Smith + Others and Lloyd Russel in San Diego, CA. Courtesy of Ted Smith. As a business model, MKA employs two particularly interesting tactics to ameliorate the risk factors inherent to this mode of architect-as-developer practice. Upon completing the design of the project, the firm sells the project (architectural plans and purchase agreements) to a home builder. This not only lessens MKA’s exposure to construction risk, but lowers its overhead. 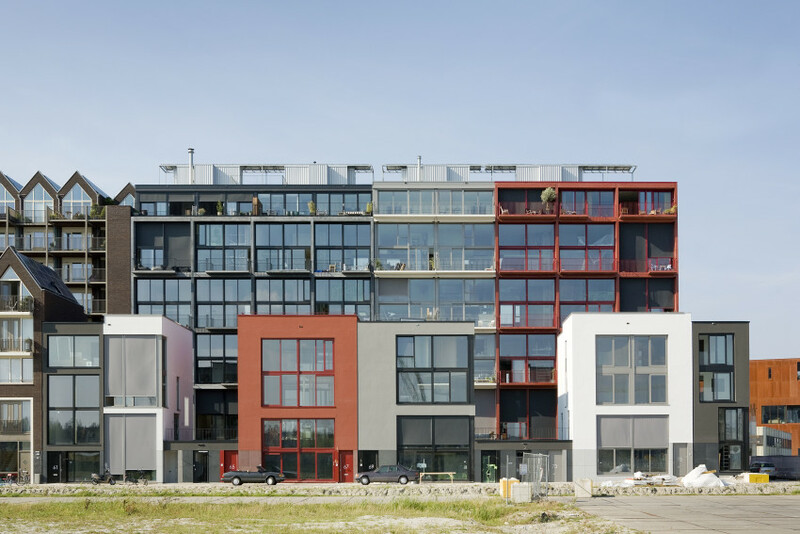 The deal structure of the Superloft stipulates a 5 percent contingency fee, which if left untouched is split between the firm, the builder, and the residents. 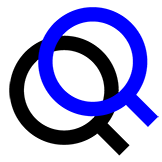 In a process that grants so much agency to different individuals, this framework incentivizes each party to keep the project moving forward, averting the possibility of drawn out deliberations.40 Beyond mitigating risk for the practitioner, the contingency fee is a collectivist mechanism that realigns the interests of individual commoners, underscoring the benefit of timely cooperation on design decisions. Superloft units. Courtesy of Marc Koehler Architects. Interior of a Superloft. Courtesy of Marc Koehler Architects. 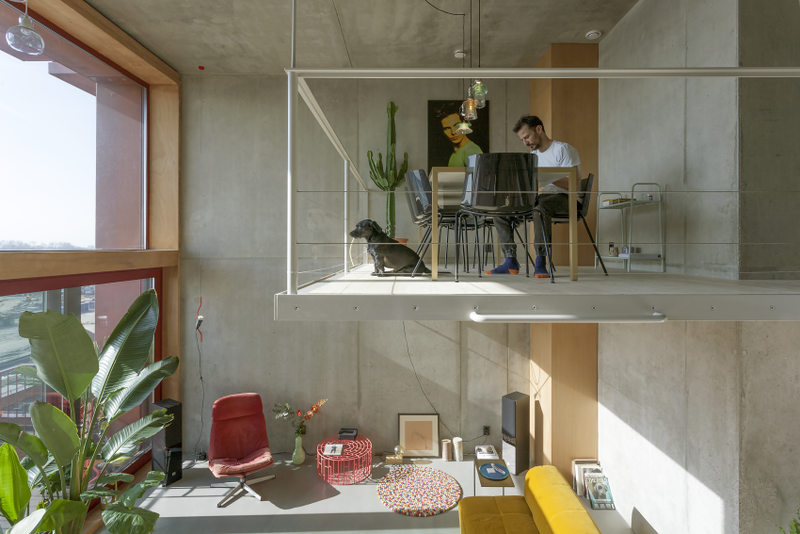 Superloft in Amsterdam, NL. Photograph by Marcel van den Burg. Courtesy of Marc Koehler Architects. Chris Krager’s practice KRDB, based in Austin, TX, was born out of a similar frustration with the limitations of architectural practice conventionally defined.41 It, however, resembles the traditional developer model more than the two previous case studies. Founded in 2001, KRDB’s early projects were built on spec with aid from municipal policy designed to help small builders construct affordable housing. These policies provided interest-free financing for construction, fee waivers, permit fast-tracking, and down payment assistance for buyers in exchange for meeting green building standards and accommodating buyers at 80 percent of area median income.42 43 This methodology, which allowed KRDB to build one-off, sustainable housing speculatively for middle-income families, became less tenable as Austin grew—ultimately pushing KRDB to engage with one of the most conservative typologies in development: the American subdivision. 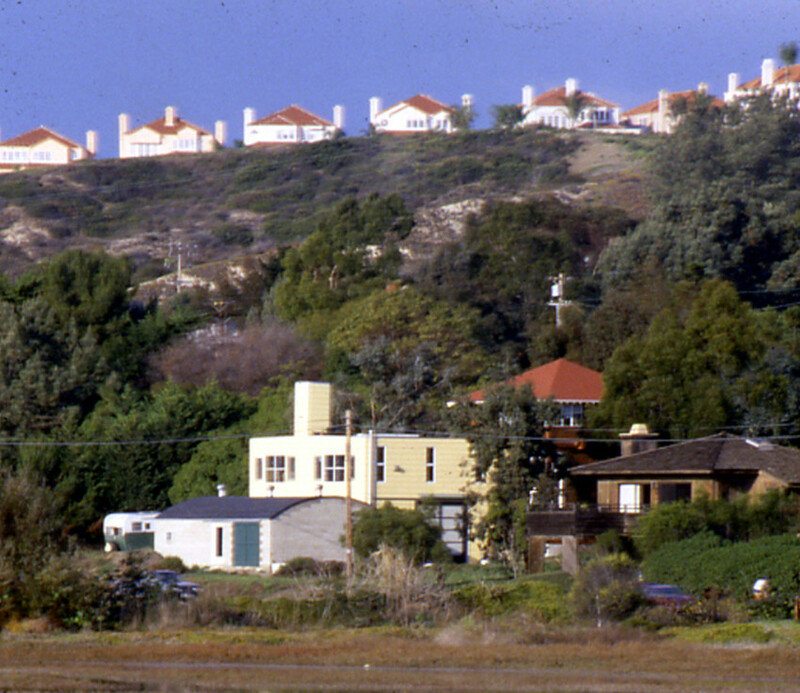 While is not immediately obvious that housing subdivisions—or more specifically the homeowner associations that govern them—are a form of liberal commons organization, “common interest communities” (which include HOAs and condo boards) are simply a means of reconciling conflicts of interest through a “formal and hierarchal management regime,” one that is typical of liberal commons on the market-oriented end of the spectrum.44 Much of the critical scholarship on common interest communities details the way these organizations are complicit in the privatization of power and the limiting of individual freedom.45 However, for Heller and Dagan, the common interest community, stripped of its cultural and ideological meaning, is simply a technology for managing common resources. As land prices in Austin increased, Krager and a partner purchased a decommissioned tree farm three miles east of the city to develop a forty-unit case study called SOL, Solutions Oriented Living.46 While the development was intended to be completely net-zero, the limited availability of credit coupled with the depressed sale prospects during the recession made it impossible to mandate solar arrays and drill geothermal wells for each house. 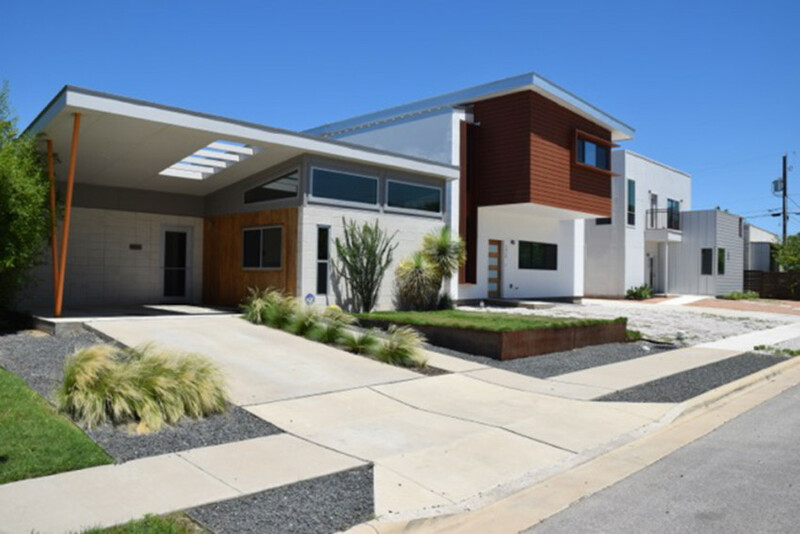 That said, every house in SOL is “net-zero capable”—each uses 55 percent less energy than the typical American house and can, with modifications, achieve the net-zero benchmark. Towards the goal of affordability, Krager sold sixteen of the forty units to a housing nonprofit, who in turn resold half of the units with down payment assistance to buyers making 40 percent to 80 percent of AMI47 and rented the remaining for prices as low as $600 per month for a two bedroom.48 Demonstrating the ideological flexibility of common interest communities, SOL’s HOA collects fees for landscape upkeep, but also for routine maintenance of the shared sedimentation/filtration system and sub-grade bio-filtration pond.49 That the individual commoner’s relationship to the commons is primarily organized by the normative logics of private ownership is irrelevant to the ideological positioning of KRDB’s work and the outcomes it achieves. A Solutions Oriented Living (SOL) house by KRDB in Austin, TX. Courtesy of Chris Krager. 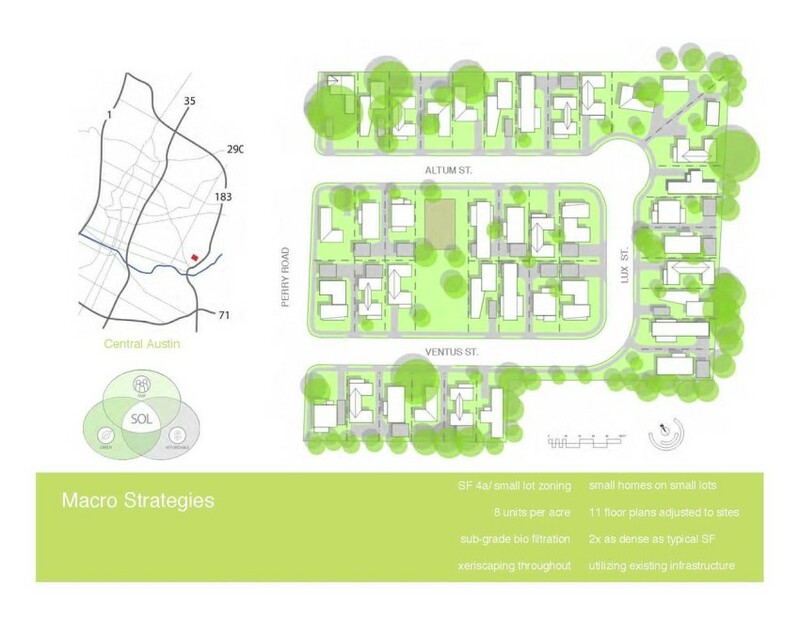 The site plan for the SOL community by KRDB in Austin, TX. Courtesy of Chris Krager. 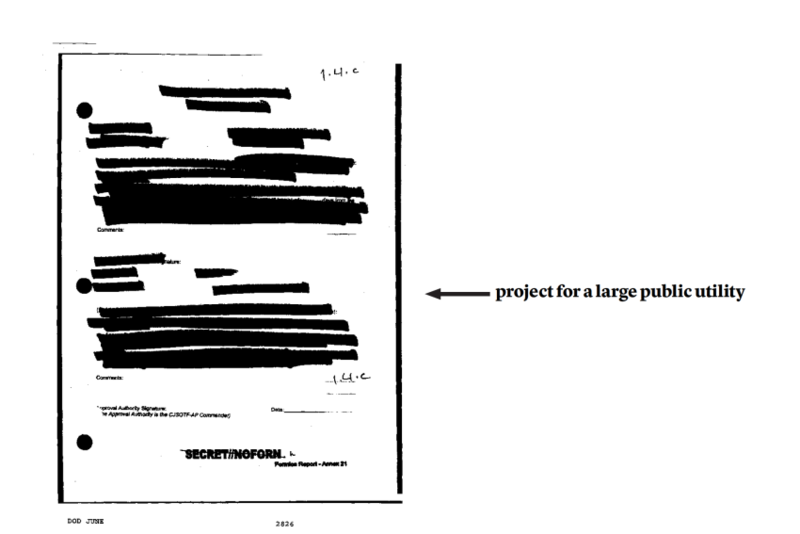 Master plan under a non-disclosure agreement. Courtesy of the author. The neighborhood surrounding the site and the former plant, a predominantly poor community of color, has long suffered from ongoing environmental justice issues and is plagued to this day with higher rates of asthma and cancer than regional averages. While the cessation of emissions from the plant provided some immediate relief to the community, it also made the neighborhood more desirable in general. In a cruel catch-22, original residents now run the risk of being displaced through gentrification processes, such that the long-term benefits of cleanup are not felt by those who bore the burden in the first place. The task of PAU’s master plan for the site was to help guide a rezoning process, which would secure benefits for the community regardless of who purchased the site. Our research into methods for dealing with this dilemma lead us beyond pure zoning and planning concepts to two potential alternative ownership models for structuring long-term community benefits into redevelopment. The first model originated from the closure of a particleboard factory in Albuquerque, New Mexico, in 1986. Neighborhood and environmental activists from the low-income and predominantly Hispanic sawmill area fought for the closure of the factory only to find that their environmental justice work helped open the neighborhood up to gentrification pressures. To combat this, neighborhood activists formed the Sawmill Community Land Trust (SCLT) to ensure that gains from environmental remediation stayed within their constituent community. SCLT successfully developed almost 100 units of permanently affordable housing in an initial project, with many more in the pipeline.51 As a type of liberal commons organization, community land trust or CLT is an umbrella term for a diverse constellation of nonprofit entities that, generally speaking, hold title to land on behalf of a community—leasing it out to affordable-housing developers or developing it themselves to lease back to local residents.52 The second type of alternative property regime, known as a commercial property endowed park, organizes public land under a public corporation that manages ground leases to for-profit developers.53 The revenues from these commercial leases are used to maintain the parks in perpetuity.54 While, this scheme does not entirely qualify as a liberal commons organization, as it typically involves direct action by the state, it is applicable since the surrounding residents predominantly lived in permanently-affordable public housing and were more in need of public amenities than additional housing subsidies. PAU recommended that the client create a hybrid of these two organizational types and sell the site to a nonprofit, which would manage the site and negotiate ground leases to private developers—ensuring the community oversight of future development and providing the funds for maintaining public facilities and programming on an ongoing basis. The board of this nonprofit would be comprised jointly of representatives—from the surrounding community, future residents, the utility (our client), and other stakeholder institutions—to manage the potentially conflicting interests of these different groups and ensure mutual benefit. 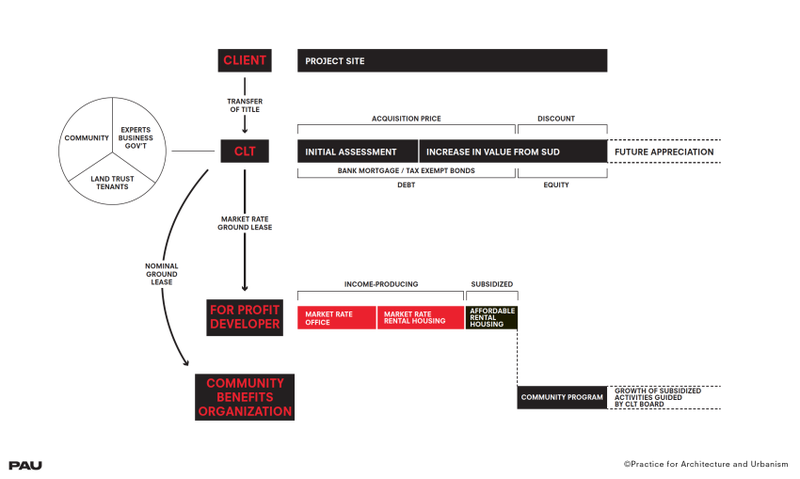 Development structure for a community land trust (CLT) on a post-remediation, utility site. Courtesy of Practice for Architecture and Urbanism. Organization of cash flow for a CLT on a post-remediation, utility site. Courtesy of Practice for Architecture and Urbanism. Exploring possible liberal commons structures had profound impacts on our spatial understanding of the site. During the initial research phase, PAU developed massing strategies in tandem with organizational models of ownership. Notions of ownership and spatial sovereignty—how the surrounding community and new residents would respectively perceive new public spaces—became intertwined with more conventional site-planning drivers like circulation and views. New amenities had to reflect the joint sovereignty established by the ownership of the site—these programs could not be arranged such that the community would perceive them as belonging to the new housing developments, and lines of access from both the neighborhood and the new housing had to be direct and easily legible. 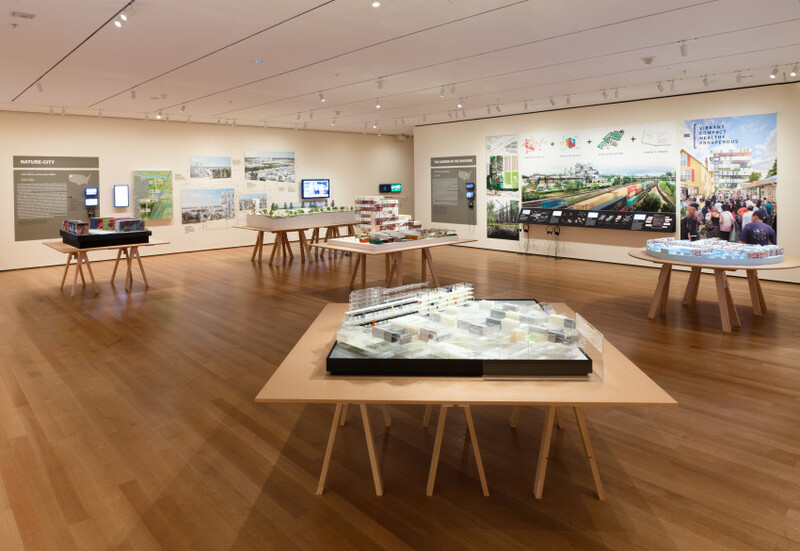 These considerations, in turn, drove our economic modeling of the site—guiding the scale and phasing of development and creating a productive back and forth between the project as design exercise and as real estate exercise. After providing the client with our recommendations and designs, the utility ultimately backed away from direct, hands-on involvement in the future of the site—moved both by concerns that it could violate the terms of their public charter, which prevents them from engaging in any commercial activities not directly related to utility provision (such as real estate development), and by a general apprehension over the lack of direct precedents for such unorthodox methods of development. With no planned involvement in the rezoning process, the utility hopes to embed community benefits less directly: representing them in marketing images for the site and baking some of it into the terms of sale to a private entity. This outcome is unquestionably disappointing, though expected given the structural inertia of organizations as large and as rigidly defined as utilities. While we have to wait for a future project to confirm that a liberal commons organization can be spurred into existence through advocacy and planning consultancy, we remain optimistic—not only because many of the design ideas will carry forward in the next iterations of the site’s plan as we continue to work on the project, but also because our deeper understanding of liberal commons development structures will inform our approach to similar design and planning projects in the future. Thoughtfully implementing the liberal commons as a theoretical framework means reframing the relationship between design practice and real estate development in non-essential terms. By breaking free of the paralyzing false choice between purely public and purely private modes of development, architect-developers as well as the architect-analysts have the ability to produce integrated plans that employ liberal commons structures and appeal equally to community, client, and financing stakeholders. The liberal commons transforms the very conflicts that traditionally cleave disparate constituencies of a project into productive organizing mechanisms in both governance and design. Across the spectrum—from socially-oriented, self-initiated communities to economic commons organizations, like housing subdivisions and community land trusts, to commercial real estate endowed public amenities—design and planning professionals have a wide range of alternative property regimes to implement as means of realizing a broad-based progressive agenda. If properly considered these choices can become an integral part of the larger design process, both determined by and contributing to the myriad factors a designer must consider in their practice. Skylar Bisom-Rapp is a senior strategist at Practice for Architecture and Urbanism where he works on urban projects ranging from district plans to targeted architectural interventions. Skylar is also an adjunct associate at Columbia University’s Graduate School for Architecture, Planning and Preservation where he teaches a class on theories of city form and an interdisciplinary workshop on urban development with PAU founder Vishaan Chakrabarti. www.pau.studio; skylar.bisom-rapp.com.